Sign up for a BSF ski program (or register for a race/trip). All participants enrolled in BSF programs must have a current BSF membership. New this year: You will purchase your membership during the program registration process. Do not purchase it below. BSF now uses Ski Club Pro. You will need to create a NEW ACCOUNT when logging in for the first time. Registration for year-round and summer programs opens on May 11, 2018. Registration for fall programs opens in August. All community members are invited to become a member of the Bridger Ski Foundation. Memberships support BSF and include several benefits (see below). BSF Parents & Athletes: you will now buy your membership when you register for a program. Do not purchase it here. All others: purchase BSF memberships below. 2018-19 Memberships are valid June 1, 2018 to May 31, 2019. Memberships will be available to purchase on June 1. 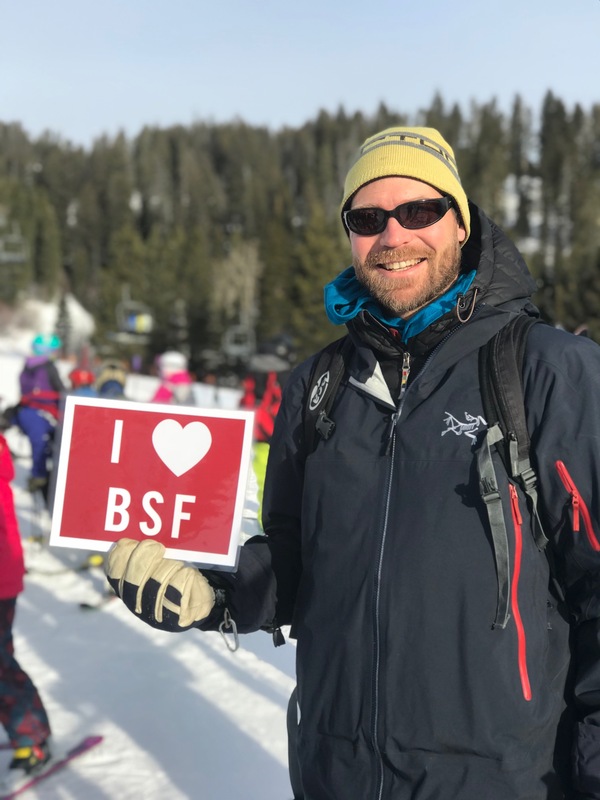 Memberships support the nonprofit club, entitle you to participate in BSF ski programs, and include perks such as early entrance to the BSF Annual Ski Swap. Bridger Ski Foundation (BSF) is a nonprofit community ski club based in Bozeman, Montana. We groom an incredible network of community Nordic ski trails in Bozeman and we provide educational and competitive programs for all ages, year round, in Nordic, Alpine, Freestyle, Freeskiing, and snowboarding. We focus on inspiring a lifelong love of skiing, athletic excellence, and personal growth. By funding and offering programs and trail grooming, we ensure a lifetime of outdoor experiences. We strive to keep skiing affordable through fundraising, scholarships, financial aid, grooming of trails, and equipment assistance. In 2015, BSF became a Gold Certified Club, the highest recognition given by the U.S. Ski & Snowboard Association (USSA). Program signup. Eligible to register for BSF Alpine, Nordic, and Freestyle programs. BSF Ski Swap, November 3-4, 2018. Free and early (9 a.m. on Saturday) admittance to the BSF Ski Swap. Members are also eligible to volunteer at the Ski Swap for even earlier admittance. Bridger Bowl. $3 off a full-day pass. Bob Ward and Sons. 10% off non-sale ski items, equipment, clothing, and ski shop work. Chalet Sports. 10% off any non-sale ski-related item. PhD Skis. 20% off MSRP. The Round House Sports Center. 10% off any non-sale ski-related item (1) free waxing and (1) 2 for 1 demo ski rental. Lockhorn Cider House. One (1) Free Cider Drink. PLUS ... a great community of skiers, fun events, and a vote at our annual membership meetings. *If you purchase your membership online, please stop by the BSF office to pick up your membership card(s). View office hours. A huge thank you to our local business partners for generously extending discounts to our members. BSF Member discounts and benefits are subject to change. We will update this webpage with any changes.